I designed this for a gorgeous modern bride – a scrolling wedding invite that is a four times screen length. Full to the brim with useful information for the guests including comprehensive maps, this invitation was a relaxed, natural and earthy design, setting the tone for the event itself. 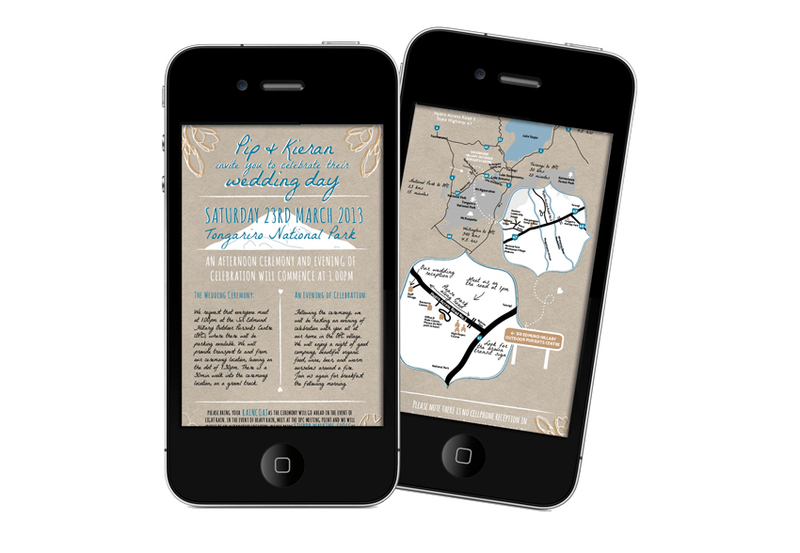 The wedding sent via email provides a beautiful colour graphic, with a printable black and white A4 booklet to travel with. This entry was posted on January 25, 2013 by studiopossum in Graphic Design and tagged digital, graphic design, invitation, iphone, studiopossum, wedding.